Lubed Up – ACRONYM Inc. In 2007 I picked up this Crosley (minus the JJCnV record) for a pretty reasonable price. I wasn’t quite in a position to buy a stereo, and I really wanted to listen to my records, so I bought it on an impulse. It worked like a charm, and while the fidelity of something like this wasn’t fantastic, it wasn’t terrible, either. This is by no means a vintage machine, but aside from a power cord, volume, and tone, there are no other components. You pull the arm back, and it starts rotating the platter. When it gets to the end, it stops. You can buy replacement needles for it pretty easily, but this is not a fancy piece of equipment. It gets the job done, and quite while I might add. However, a few years ago I lived in a house where we spent a lot of time in the kitchen, and thus listened to this Crosley quite a bit. I lasted through having beer and flour spilled all over it, and one roommate who insisted that he could only listen to music at full volume, in spite of the distortion. By the time we all split ways from that place, the Crosley had seen better days. Even a new needle wasn’t quite helping it be its best. And here’s why: as you would increase the volume, the sound would begin to crackle and distort randomly. Sometimes you could finagle it into a position where it sounded fine, but if you moved it too suddenly, the sound would short out, and you could barely hear anything. I took it apart to make sure that the speakers were not blown, and that there wasn’t flour in the components, but when I took it apart, aside from very basis mechanical pieces, there was nothing for the flour to muck up. The single point of failure was the volume knob itself, and upon taking apart the Crosley, I had figured out why: the volume was controlled by a very simple potentiometer. You’ve probably seen these before. They are very common in electronic devices. Without getting into too much detail as to how they work: imagine our Crosley. 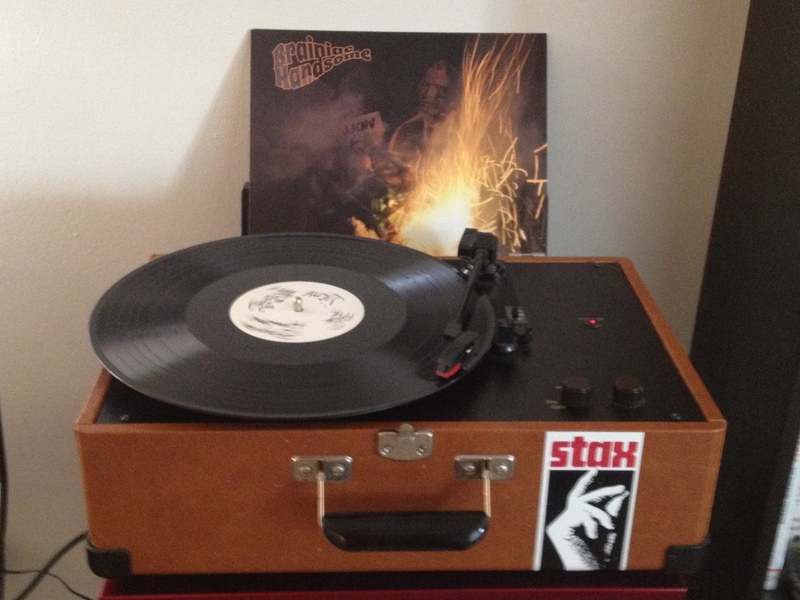 It has a signal – the volume – that’s running so long as the needle is on a record, and the platter is spinning. Now, without a potentiometer, the signal is at maximum. In order to allow us to control it, a potentiometer like this is added. As we move the dial, we can control the amount of the signal that gets through to the speakers. Potentiometer’s have literally thousands of uses in electronics, and in my Crosley, since there are so fun components, it is essentially the last remaining point of failure in this device. It must be old and full of flour, and just needs to be replaced. As my Crosley is well past its warrantee – and I’m sure “kitchen use” would fall outside of it – I had been waiting for an opportunity to hit up a much more electronically inclined friend to replace it for me, with the promise of beer and companionship. The Crosley sat, largely unused, save for those occasions when my annoyance threshold was just high enough that I could stand listening to the crackle. Periodically, when I would have friends over, I would play an album, and then tell the sad story of how I just need to get the potentiometer replaced. Until my buddy Trevor made a very simple, and amazing suggestion: oil. 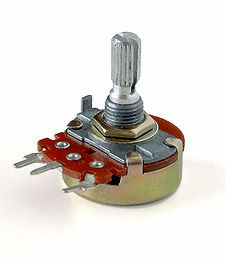 Apparently, over time, a potentiometer like this one will gather dust. The signal that gets through as you turn the dial works based on forming contacts around the dial. When dust gets in there, the contacts are disrupted, and prevent the dial from working properly. This is why, when a device like this is at full volume, you might get no sound whatsoever. Other times, you’ll get deafening crackles, but no signal. However, the dust problem can be flushed out with the addition of a few drops of oil. After I procured the oil, finished my chores, and had a spare evening, I set about oiling my Crosley. Within minutes, it was working perfectly. Not more crackle, and no more lamenting that I can’t listen to my records. It does sound like I could use a new needle, and the speakers have seen better days. But I can listen to the new JJCnV record while I make dinner, and that’s all I really care about.